Spain's vehicle production declined by 53 percent in January, the biggest auto manufacturing drop in the country's history. Production fell to 123,762 units compared with the same month in 2008, according to the Spanish manufacturers association ANFAC. Weak consumer demand and a lack of financing forced Spain's car producers to reduce passenger car production by 49.9 percent to 98,842 units in January, ANFAC said. Production of light commercial vehicles was down between 41 percent and 68 percent, depending on the segment, ANFAC said. Automakers cut Spanish production as the credit crunch hit demand for cars built in Spain across Europe. 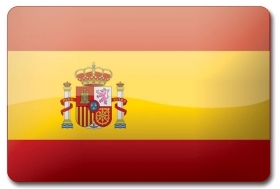 Total Spanish vehicle exports dropped 50.7 percent to 105,154 units in January, while passenger car exports were down by 47.4 percent, to 83,270 units. ANFAC said it was possible that demand stimulus packages now launched by eight European countries and under consideration in others would lead to more robust production later in the year.